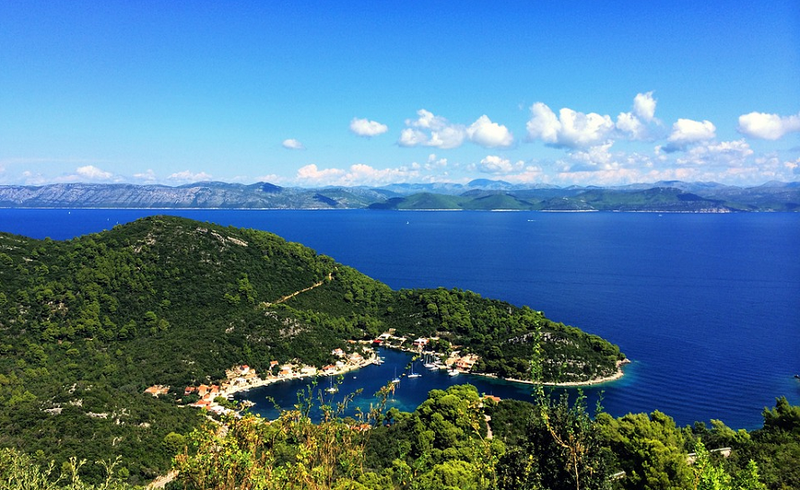 Uniline.hr invites you to discover and enjoy the beauties of Croatia, its climate, a heavenly blue sea, beautiful beaches and hundreds of breathtaking attractions. Take a look at this site and find out how we can help you to book a great vacation. Let us show you the numerous treasures that this land offers; its natural miracles, cultural and historical attractions, amazing gastronomy, and above all, warm and friendly people. Enjoy this amazing country ! ... that in 1906 the Croat S. Eduard Penkala invented and patented the first real pen and first fountain pen. ... that the tie is a Croatian invention. In the 17. century the Croats made it a costum to put a piece of textile around the neck as a detail of fashion. ... that in four places on Veliki Brijuni were found more than 200 footprints from dinosaurs. ... that around the Arena of Pula was fastened the biggest tie in the world. It was 808 meter long and at the lower part of the tie 25 meters wide. ... that UNESCO and the Croatian government proclaimed the year 2006 that of Nikola Tesla. In 1882 Tesla discovered the principle of the rotating magnetic field. With his genious discovery he enabled the creation of the first electromotor running with alternate current. ... that our olympic Janica Kostelic entered in history with her many victories and became the most successful skier ever in the olympic games. ... that Croatian islands hide a lost world of living fossils. In caves of Hvar and Korčula were found new types of very small lobsters, survived examples of species that died out long ago. ... that Croatia is the homeland for protected and endemic types of plants. One of them is runolist, which has been protected by the law of nature since 1952, as well as the degenija of Velebit, an endangered, rare and endemic type that has been protected since 1964. ... that Ivan Meštrović is the most famous Croatian sculptor, as well as one of the biggest modern world artist. An interesting fact is that in 1947 he organized in the Metropolitan Museum of New York an exhibition about his work, which was the first exhibition of a living artist.